The artwork to this EP by Pusher is definitely fitting. Right off the bat with the New Laces EP, Startup kicks things off like an old computer from the 90’s kicking into gear. Not going to lie, prior to this I had never heard of Pusher, but I am extremely glad I found him! His sound is special and I feel like after the release of this EP, he is going to become more popular in the future bass genre. Finding new people in the game is motivating because there are people constantly coming into the scene! After Startup, the first song we hear is Clear featuring calming vocals from Mothica. Clear is bouncy and happy – the lyrics are beautiful and her voice matches what you’re listening to perfectly. After listening, I added this song on my playlist because it is so addicting and one of those songs I just can’t get enough. Next up is Fences, which features deep bass and pretty vocals from CAPPA that resemble the sound that Mothica provides in Clear. The vibes with this one are nothing but good, and the drop is super heavy. Overall A+ for sure. The production in the next song, Tell You (ft. Hunnah), has super soulful vocals that vary from the last 2 songs, but that same uppity happy vibe. Someway, Somehow (ft. Darren Ashley) is probably my least favorite on the EP – which isn’t saying much because I still enjoy it! This track reminded me of a Porter Robinson vibe with a distinct drop and noises overlaying the drop. Second to last is Shake Down, a unique banger filled with attitude. Vocals by Push Push plus the lyrics are super sassy. To end New Laces is a little track called Long Night (ft. Anuka). This one is straight fire and is the perfect ending to an awesome musical experience. Each song I was like: THIS is my favorite on the EP. But after listening to each song, I kept saying the same exact thing. Each song is my favorite, and is different and awesome in their own way. 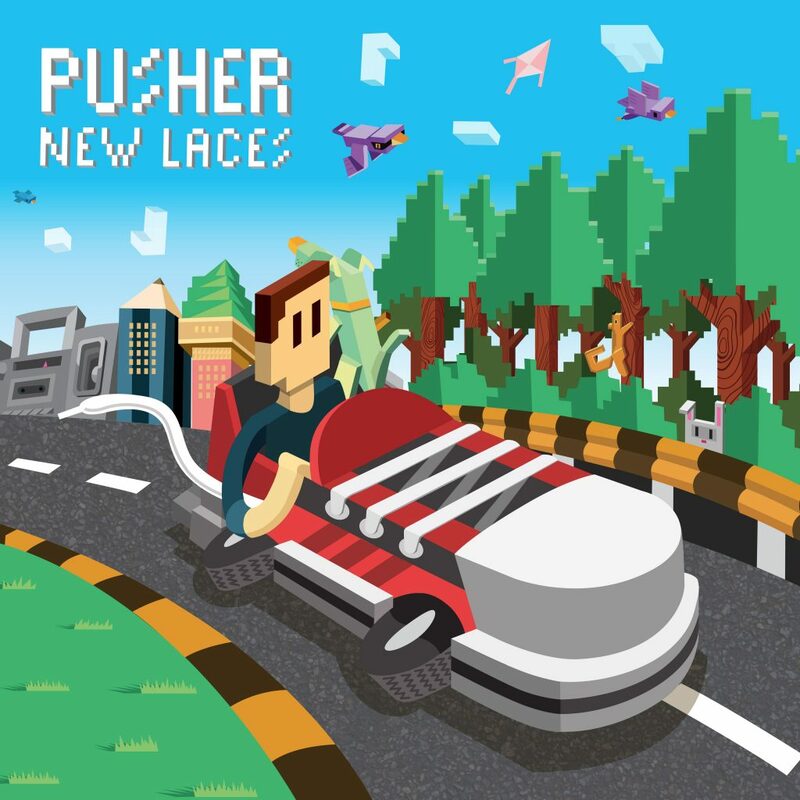 The vocalists that Pusher has chosen in each track are top tier and with all of that combined, the New Laces EP is a killer.